Higgins & Associates is dedicated to providing on-time, accurate, and dependable reporting services to Central Ohio's attorneys and legal professionals. Our experienced staff provides real-time court reporting and legal video recording. Our conveniently located offices allow you access to videoconferencing across the globe. In your business, we believe experience counts. Count on the professionals at Higgins & Associates. Beth Higgins graduated from the Cleveland Academy of Court Reporting in 1977 and served the Franklin County Municipal Court and the law firm of David Daily & Associates before founding Higgins & Associates in 1981. She is a member of the National Court Reporters Association, the Ohio Court Reporters Association,, and STAR (The Society for the Technological Advancement of Reporting). She is a past President of the Ohio Court Reporters Association, is dedicated to the advancement of her field, and is affiliated with top firms across the United States. The profession of court reporting is thousands of years old. Its roots can be traced back to 63 B.C., when Marcus Tullius Tiro employed shorthand reporting as Cicero's secretary. It requires high skill, accuracy and a broad range of learning. Skilled court reporters remain in big demand across the United States. Until the late 19th century, a quill or pen was the primary means of court reporting. 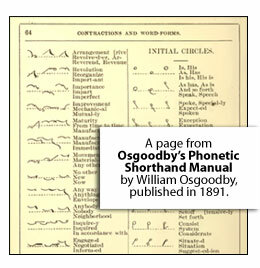 John R. Gregg, creator of the most widely used pen-writing method of shorthand in the United States, eventually opened a school in Chicago. 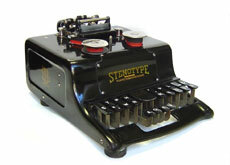 In the late 1870s, automation was introduced in the form of Miles Bartholomew's first stenotype machine. The concept was simple: take advantage of a person's ability to type faster than he or she can write. By the 1940s, use of the specialized typewriting machine had supplanted the pen, primarily due to the increased speed with which a court reporter could "take it down." Ward S. Ireland's first publicly available Stenotype machine enabled inexperienced operators to attain and even break speed championship records. The court reporting industry has adopted many technological changes in the last 70 years. Most of that credit belongs to a handful of innovating pioneers, as well as the profession's founding fathers, who in 1899 had the foresight to anticipate and embrace new approaches to mastering this specialized skill. Using cutting edge technology in human-to-machine realtime interaction, reporters can upgrade the services they offer their existing clients, or they may enter the newly opened areas of broadcast captioning, realtime in the classroom or for the hearing impaired, and reporting on the Internet.